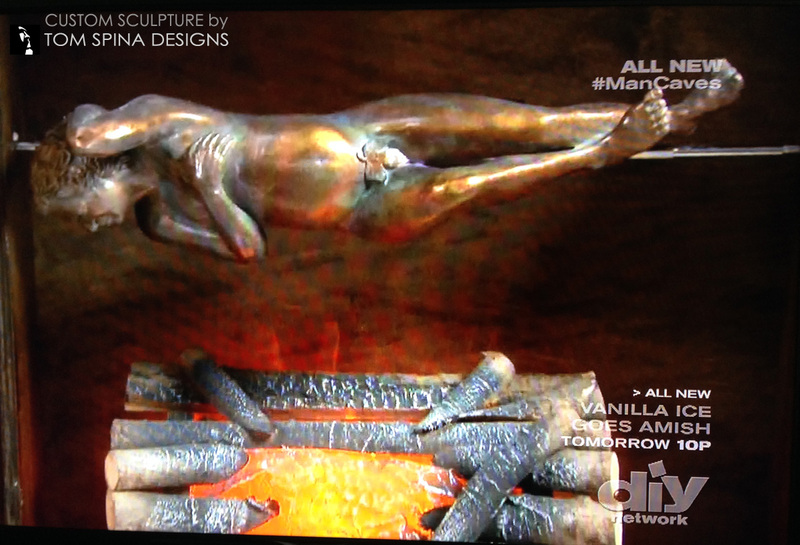 Roasting a faux bronze statue. 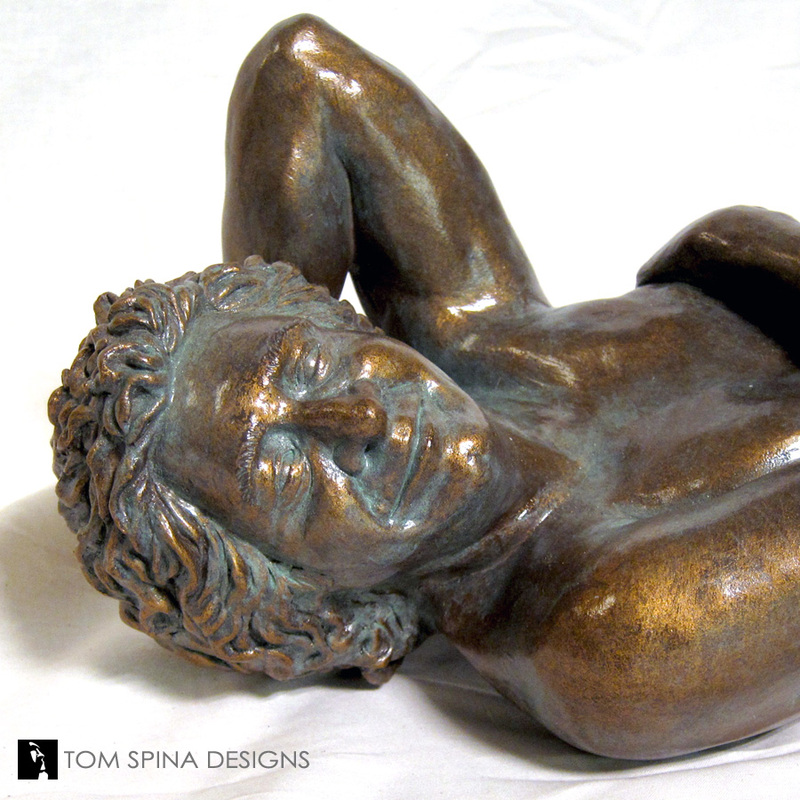 A one of a kind faux bronze statue to roast the roast-master himself, comedian Jeff Ross! 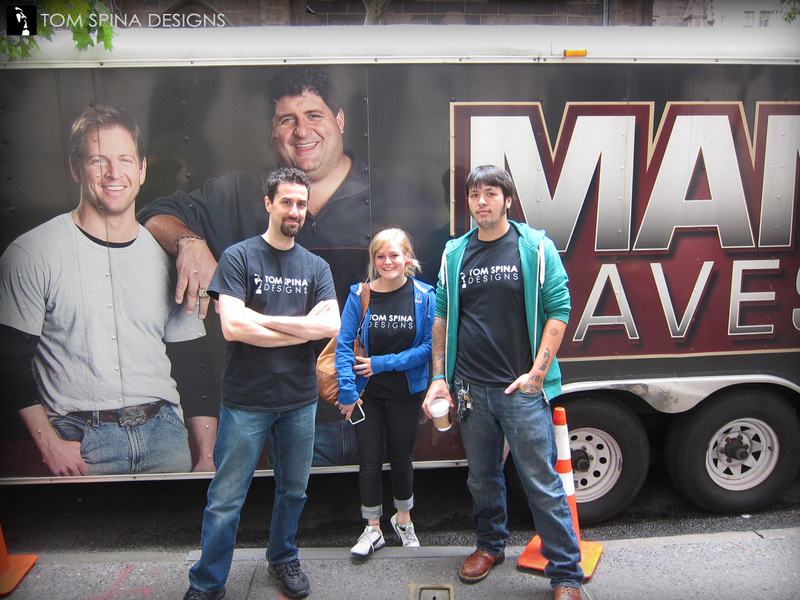 For the season premiere of the DIY Network’s show Man Caves’ thirteenth season, they called TSD to be featured on the show and to create a one of a kind sculpture to help make this build something really special. 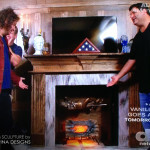 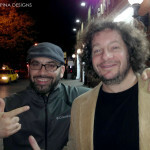 The episode, titled, “Jeff Ross’ Roastmaster General Man Cave” featured a makeover of the comedian’s New York City apartment, including a faux fireplace with a very interesting feature… We built a 30″ long faux bronze statue of the comedian, naked and in repose, to be roasted on an electric turning spit over his fireplace! 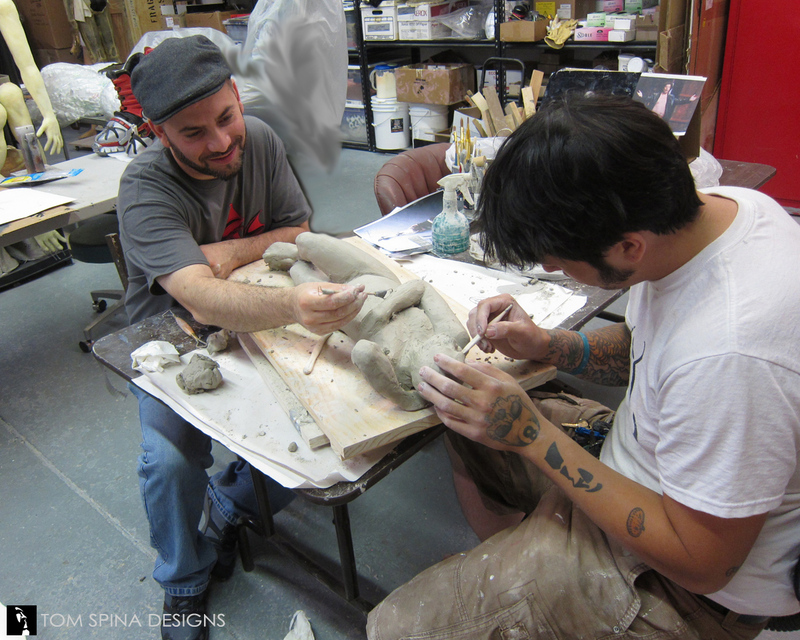 With a very tight filming schedule, our whole team pitched in to make this really cool sculpture. 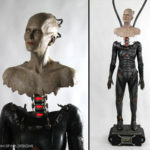 Among the sculptors and artists whose efforts made this a reality: Patrick Louie, Tom Spina, Rich Krusell, Melissa Dooley, Steve Abbananto, Maria Teran and Collen Newell. 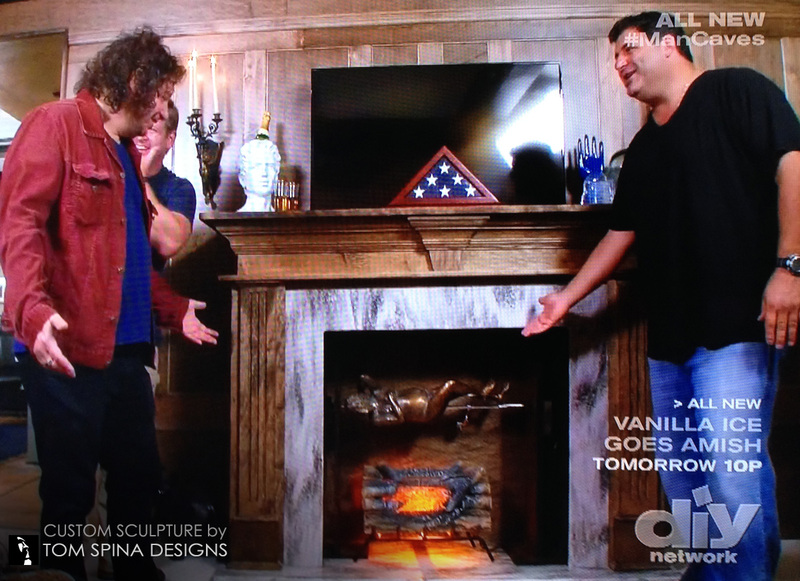 Check your local listings or the DIY Network Man Caves page to see when the episode will air again or watch other episodes of the show. 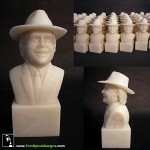 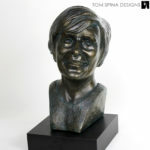 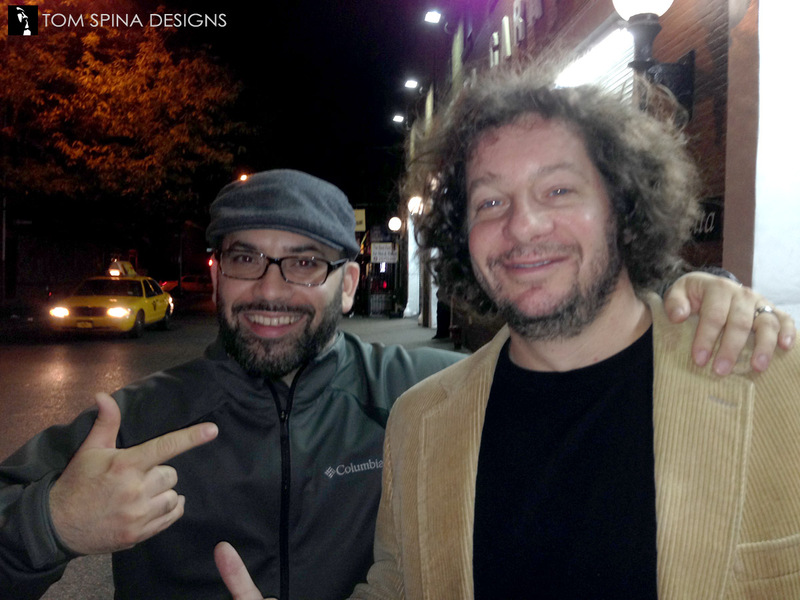 Want a custom designed bust, statue or wax style figure for your home, office or man cave?